All magnets have a magnetic field around them, regardless of their size and strength. Appliances, computers, generators and circuit boxes are examples of items that that can contain magnetic fields, because magnets must be used in some capacity to produce and route electricity. Strong magnetic fields can cause disruption to other electrical devices, produce unwanted static and in some cases affect human heath. Various products have been designed to shield unwanted magnetic fields, such as foil, woven material and shielding plates. With the use of a Gauss meter, any homeowner can install a safe-working magnetic shield device. Some devices can create such a strong magnetic field they can interfere or harm other electrical devises in proximity. Size the object to be shielded by measuring it with a tape measure in all dimensions. If the object is cylindrical, take a circumference, width and length measurement. The same holds true for a box-like object or irregular shape. 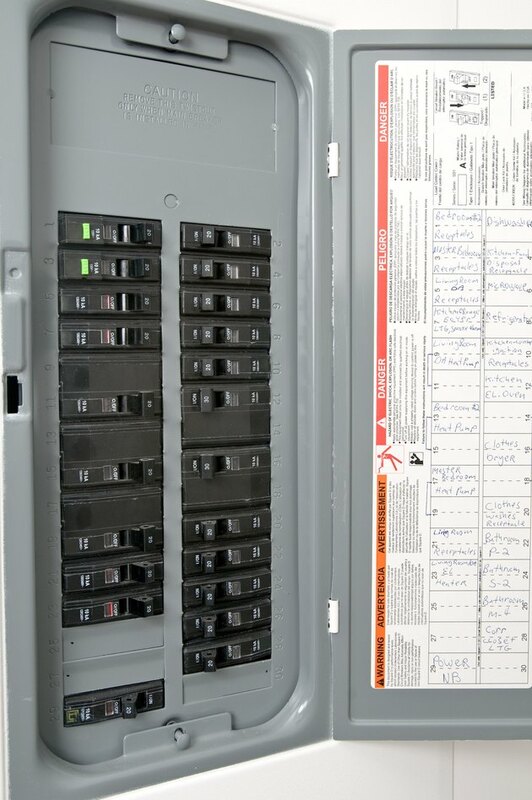 If you need to shield the wall on the other side of a fuse box panel, use a tape measure to measure the height and width of the panel and transfer those dimension to the other side of the wall, roughly in the same location as the panel. Add another 2 feet in length and width to the panel dimensions to give you an approximate area for shielding. Mark that temporary outline with a pencil. Determine what shielding material will be best suited to your needs. For smaller, weak fields, you can purchase thin shielding foil and cut it to length, according to linear feet. Shielding foil can be wrapped in multiple layers and is easy to manipulate around small objects, like car stereos. Giron woven shielding, for example, comes in various strip lengths and be cut to size and taped. Giron works well for medium magnetic field densities. Magnetic alloy plates can be cut to size with utility shears or tin snips and can be screwed into surfaces by using the pre-drilled hols. Alloy shielding plates are designed for high intensity magnetic fields, which need more protection. Use a Gauss meter to measure the magnetic field around the object. For a wall opposite a fuse panel or circuit breaker box, run the meter over the other side of the wall in all directions. Make a mark with a pencil when you reach the edges of the field area that show 2.5 milligauss or less on the meter -- this will be the threshold or end of the shielding area. Cut your woven shielding with heavy scissors to length, and apply the strips one after another until you cover the area. Most foil, woven and plate shielding come in pre-determined widths, such as 12, 15 and 25 inches, so take this into consideration. Tape your shielding in place with cellophane sticky tape or duct tape. You can screw the shielding strips on with small wood screws and a screwdriver, or use hammer and nails if you prefer a more permanent installation. Wrap electrical boxes and generator casings on the sides and tops with flexible fabric shielding, but be sure to leave some ventilation holes for cooling purposes. Tape foil and woven type shielding strips with cellophane or duct tape. Cut your shielding to size if you plan on covering the engine compartment firewall on a vehicle, to insulate it from the magnetic filed produced by the ignition system. However, use the shielding that is rated for higher temperatures, and use a heat-resistant paste or glue to assure lasting adhesion. Use a shielding thickness that best suits your applications. Many of the foil-type magnetic shields have self-adhesive backing, so you only have to strip off the protective film and then apply it. How Does a Furnace Flame Sensor Work?